So to give you an idea of the film’s set-up – Baby is a young getaway driver on the streets of Atlanta. He has tinnitus and to drown out the incessant ringing he listens to music. In a sense, Baby Driver could be summed up – almost – as a Tarantino musical based on the computer game Grand Theft Auto. A lot of the driving is choreographed to the music that Baby listens to as he drives, so that the act of driving is elevated to dance. I find films full of car chases bloody boring usually – I can’t drive for one thing and struggle to tell one car from another.2)Although I can usually identify a BMW, as they’re the ones driven by people who don’t indicate as they turn into side streets, and beep at any pedestrians to have the temerity to be crossing at the time. I find a facial expression that channels Maggie Smith as a dowager duchess, accompanied by a raised middle finger, the best way to deal with such dreadful manners. But I love a car chase that’s done well – Bullitt is perhaps an obvious one to choose, but one of the things that makes that chase so memorable is its use of music which combines perfectly with the action. Before I was diagnosed with tinnitus and hearing loss, I listened to music all the time. I was even in a band, where I played guitar, bass, programmed the drums, etc etc. I walked to and from work with my headphones on and was always very pleased when something happened in the street which corresponded exactly with the music I was listening to, as if it was the soundtrack of a film. Unfortunately, I got to the point where one day I decided the right bud of my earphones had broken, so I bought a new pair. And would you believe it, the right bud of those were broken as well. Everything was muffled! Finally, I realised I had gone deaf in my right ear. I’d had the tinnitus ringing, screeching, fizzing and beeping for a while, seemingly in both ears, and I thought I couldn’t hear because I couldn’t hear over the sound of the tinnitus. 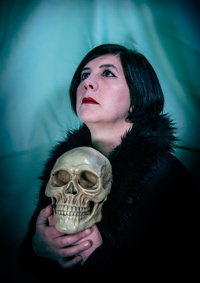 The audiologist told me that the tinnitus was in fact a symptom of my hearing loss, and that the brain struggles to locate the tinnitus to the ear that’s got the problem – hence my hearing loss is in my right ear, but I hear the tinnitus in both. As I have significant hearing loss, and right in the middle of the range where human speech resides, I was prescribed a hearing aid. This has really helped with my hearing loss, and the tinnitus as well – quiet background noise is amplified and disguises the tinnitus. Little “hum in the drum” for me, while wearing my hearing aid at least. So I’d walk back and forth to work with one earphone bud firmly in my left ear, and the one in my left half-hanging out because it was competing with the tube and receiver of my hearing aid. The bud kept falling out, and wandering about with one deaf ear (even being helped by a hearing aid) and my only good ear plugged into an earphone, I was concerned for my safety. I couldn’t hear what was going on in the environment around me as I walked about. I didn’t even listen to it at home. I felt too sad. Although I’d obviously been deaf and had had tinnitus for a while before being diagnosed, that diagnosis forced me to accept the disability that I’d tried to avoid acknowledging. Every time I listened to music, I became obsessed with what I couldn’t hear, what I was missing out on. I felt incredibly embarrassed about the music I’d made – I’d mixed songs, learning about the left and right channels, and I wondered how badly balanced those tracks must’ve sounded to someone without a banjaxed right ear (though of course, if you are quite deaf in your right ear, you might really enjoy my music!). I couldn’t wear earphones any more – this makes my life difficult at work, where I’m in an open-plan office and everyone wears headphones and earphones to drown out the background noise. Some background noise is essential for me to drown out the tinnitus, but too much and, like anyone, I can’t concentrate. The bud can’t sit in my right ear with my hearing aid, and headphones that entirely cover my ear just lead to loads of unpleasant metallic feedback thanks to my hearing aid, like a bad day at the BBC Radiophonic Workshop. Listening to music on speakers works ok for me, but it means that listening to music isn’t the private experience for me that it once was. And once I started to listen to music again, I was listening to other things. Whereas I always listened to BBC 6 Music in the past, I usually listen to Classic FM now. There’s something about Classical music that I find much easier and more pleasant to listen to than the guitar/bass/drums that I always liked before. I have developed a love for Chopin’s Nocturnes. If I’m honest, I think one reason I avoided watching Baby Driver was because I was jealous. Lucky sod, he has tinnitus and can still wear earphones! But I’m so glad I’ve watched it. I can’t think of any other films where I’ve seen a main character with tinnitus. The last character I’ve seen on screen who had it was a soldier in the television series Generation War, who ended up with tinnitus after being caught in an explosion. Ironically, on the occasions in the film when Baby took out his earphones and his tinnitus appeared on the soundtrack, I didn’t always manage to identify it over the racket in my own crappy ears! Baby’s tinnitus isn’t there to make us pity him, it’s not a plot device other than to get music into the film. It’s just part of him, just as my tinnitus is part of me. Apparently, Edgar Wright had tinnitus as a child, and I think the personal experience of it shows in the film. He lives with a older man who’s deaf – a foster parent of sorts, and he’s played by an actor who really does have hearing loss and is fluent in American Sign Language. And once again, his deafness isn’t a plot device, or a reason for us to tip our heads to one side and go “Awww, poor him, what an inspiration he is.” He just… happens to be deaf, which fits in with the film’s theme of music and sound. 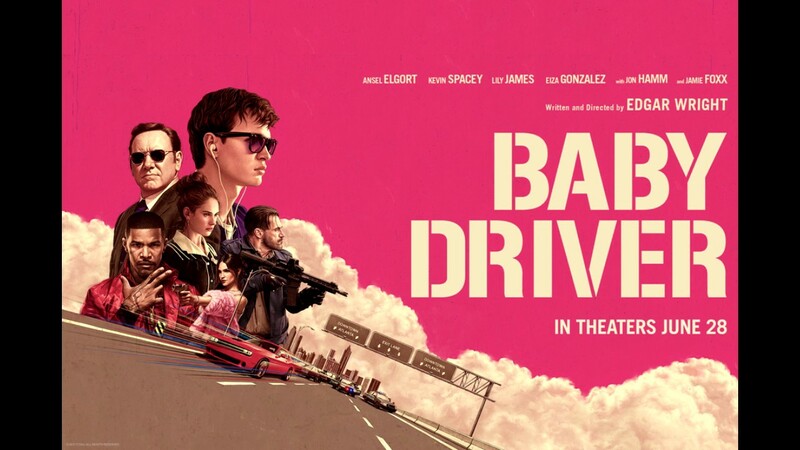 Baby Driver is an excellent film in and of itself, a glossy crime film which asks the viewer to consider those ancient themes of good and evil, of choice and fear and redemption. But for me – and along with many other people who live with tinnitus and hearing loss – it’s refreshing to see our disabilities on screen, in a positive light. Oh, and the soundtrack3)A track from Blur’s Modern Life is Rubbish appears in this film. I was gobsmacked – it’s my favourite Blur album! And the track and the moment its used is just perfect. is brilliant. 2. ↑ Although I can usually identify a BMW, as they’re the ones driven by people who don’t indicate as they turn into side streets, and beep at any pedestrians to have the temerity to be crossing at the time. I find a facial expression that channels Maggie Smith as a dowager duchess, accompanied by a raised middle finger, the best way to deal with such dreadful manners. 3. ↑ A track from Blur’s Modern Life is Rubbish appears in this film. I was gobsmacked – it’s my favourite Blur album! And the track and the moment its used is just perfect.